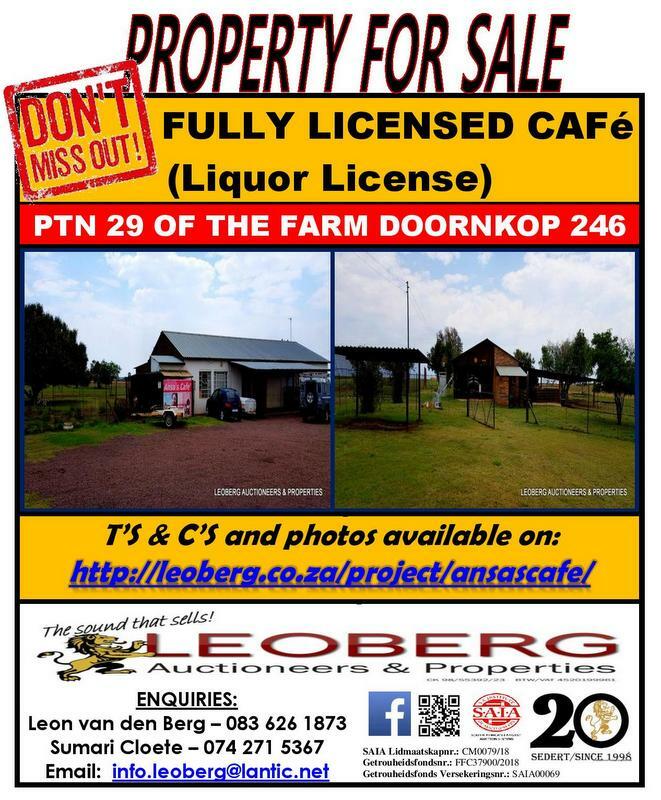 Ansa’s Cafe has been operating successfully for the past 18 years so whether you are planning on starting your own business or looking for an excellent investment opportunity this prime business property will work for you. T’s & C’s: IMMOVABLE PROPERTY: 20% Deposit and 2% Buyer’s Commission plus VAT and payable on fall of hammer. Balance to be guaranteed within 45 (forty-five) days of confirmation. FICA required for registration.